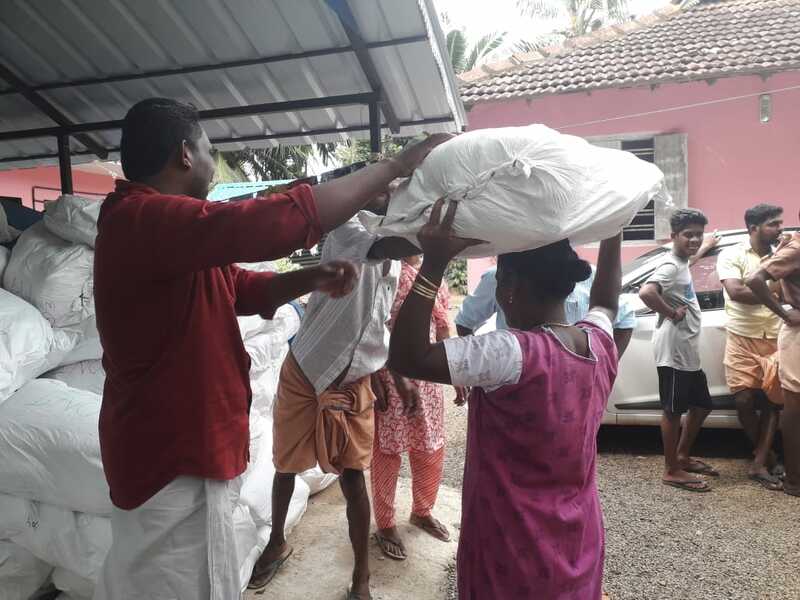 The hands that know hard work, will never be happy with charity..
Goonj team recently spoke to people of Vaikom village (Kottayam, Kerala) about dignity vs charity to receive relief material as reward for solving their own problem. Most families here are into coir making, fishing and farming. 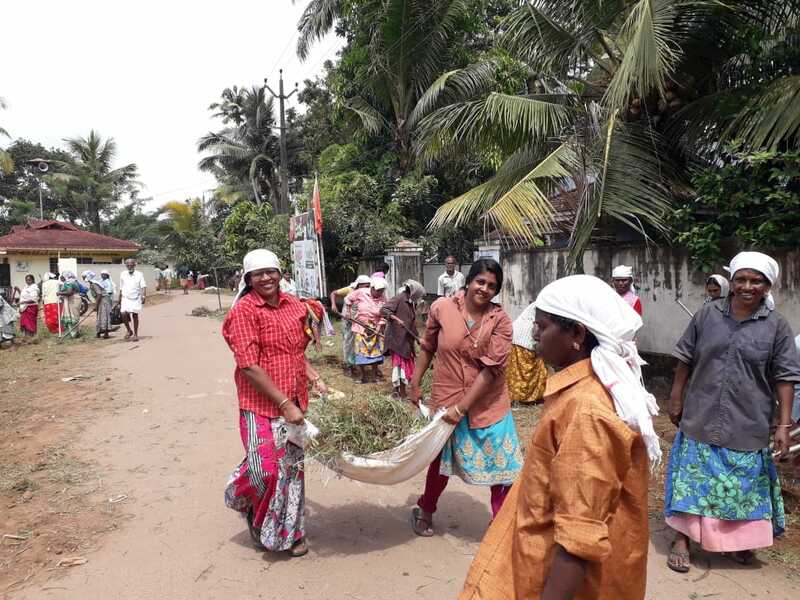 Goonj motivated everyone to clean their flood damaged road, temple and school compound. All the 315 participants were rewarded with Goonj’s carefully made Rahat relief material Kit for their family’s basic needs.